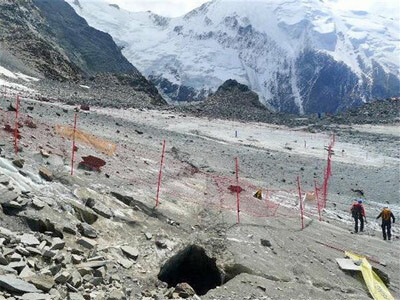 Early on Sunday afternoon, the wardens of the new Refuge du Goûter alerted the Chamonix PGHM after finding a fire in the Refuge, The brand-new building was evacuated. Two paramedics and two firefighters went to the scene to stop the fire. According to the PGHM, only a "technical service area" of the Refuge was damaged. The cause of the incident is still unknown.